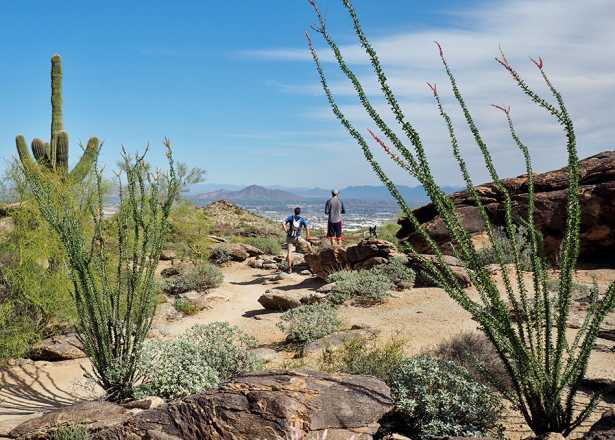 Greater Phoenix is home to hundreds of miles of Sonoran Desert trails and the diversity of our local desert parks give trail runners of all kinds of options. 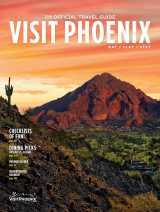 Piestewa Peak’s summit trail is one of the classic mountain climbs in the Phoenix area. The trail is foot-traffic only, unlike many of Phoenix’s multi-use trails. The summit trail is oftentimes heavily trafficked so runners need to be aware, courteous and pay attention to trail etiquette. The summit trail is only 1.2 miles but it gains over 1,200 feet of elevation. 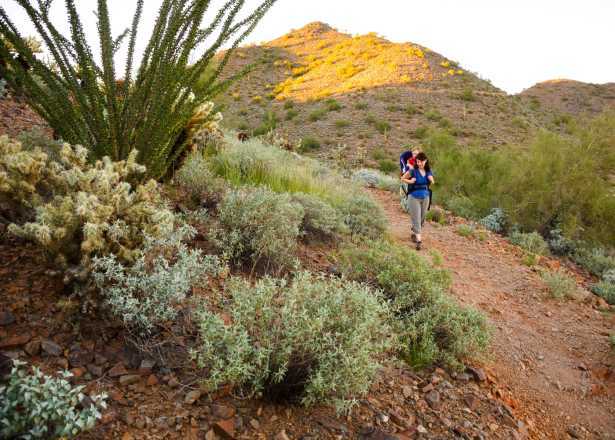 There are also other trails in this part of the Phoenix Mountains Preserve that can add distance to your run before or after conquering the summit, such as the Freedom Trail (Trail #302) that loops around the base of the summit. Endurance running has become the norm among trail runners these days, and if you’re looking to put in some long trail runs, head to South Mountain Park and Preserve. This 16,000-acre Phoenix park boasts 51 miles of multi-use trails. The National Trail runs 14.5 miles along the length of the park from northeast to southwest, mixing views, terrain and elevation change. Run the whole distance out and back for the ultimate challenge, or turn around at Fat Man’s Pass and detour back through Hidden Valley. 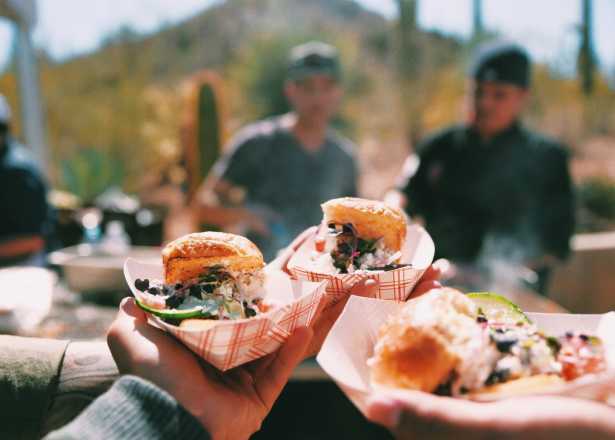 For a classic Phoenix experience, Papago Park is the answer. The red Papago buttes are circumnavigated by a mix of trail and paved path with short, punchy hill climbs that get the heart rate up. 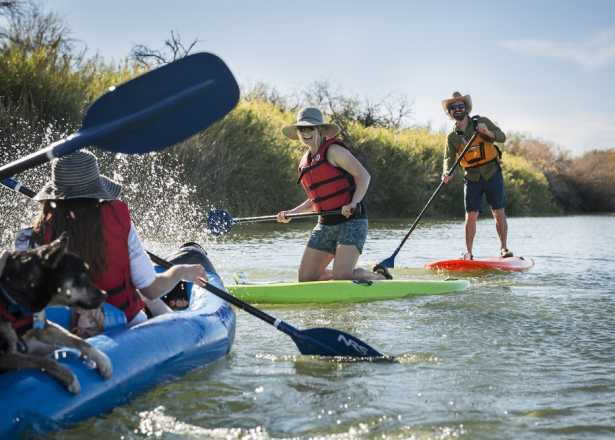 Papago Park offers views of the downtown Phoenix skyline, Tempe Town Lake, and iconic sights such as the Phoenix Zoo and historic Tovrea Castle. 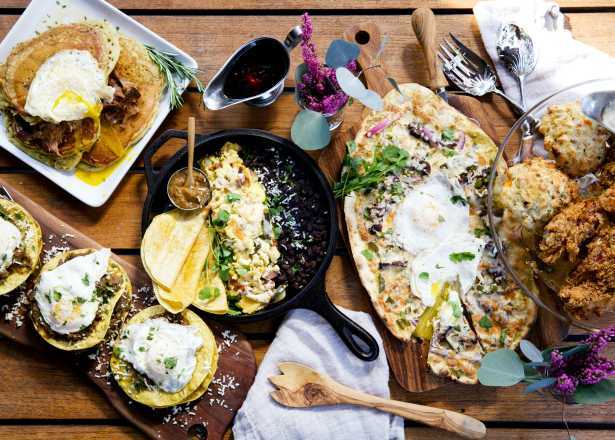 Follow up your trail run at Papago Park with lunch at one of the many nearby cafes and restaurants in Phoenix’s popular Arcadia neighborhood. 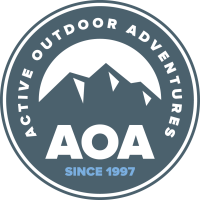 Punctuate your trail run with saguaro cactus and open desert photo ops in the Phoenix Sonoran Preserve. 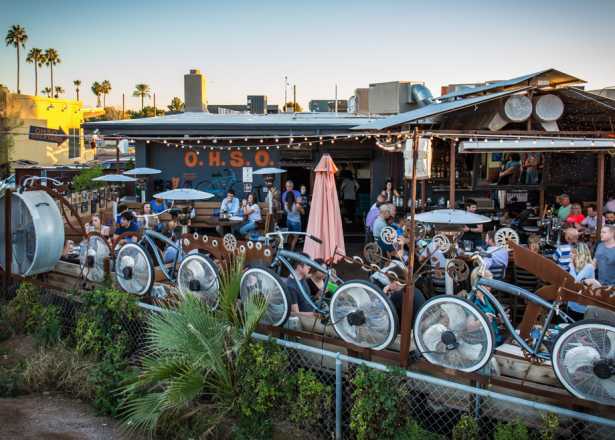 Located a 20-30-minute drive north of downtown Phoenix is a swath of protected desert with purpose-built multi-use trails, fields of iconic saguaro cacti and a mix of long flat loops through open desert and challenging uphill trails.